SIBY HERALD January 12, 2019 16:02 IST Australia win by 34 runs against India - Time for Kohli to step down and Rohit Sharma to get captaincy! 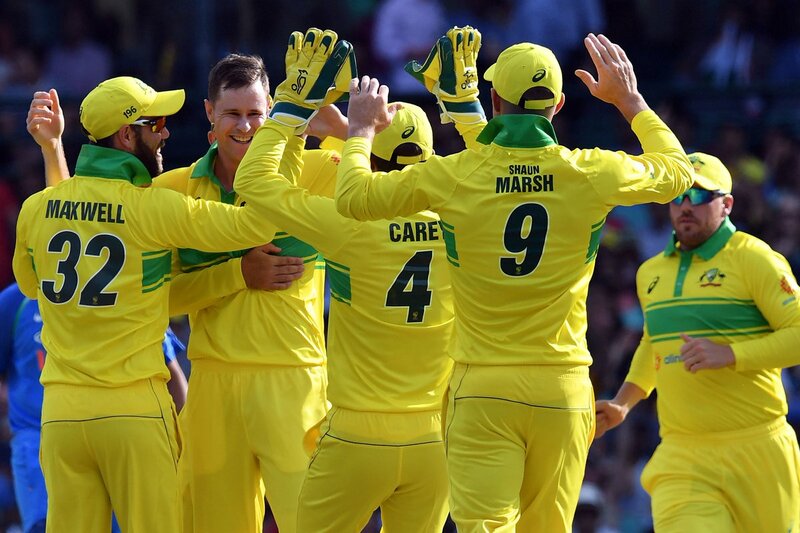 It was then Handscomb's turn to score a blazing 73(61), stealing the match from Indians, and finally Aussies posted a huge 288/5, with an unbeaten knock by Stoinis 47(43)*.India began pathetically, losing Dhawan and Rayudu for ducks, while skipper Kohli also got out soon, with India struggling at 4/3. The cool MS Dhoni partnered Rohit Sharma, who was scoring was scoring well despite fall of wickets, but Dhoni was a victim of bad umpiring as he was given out for 51(96). 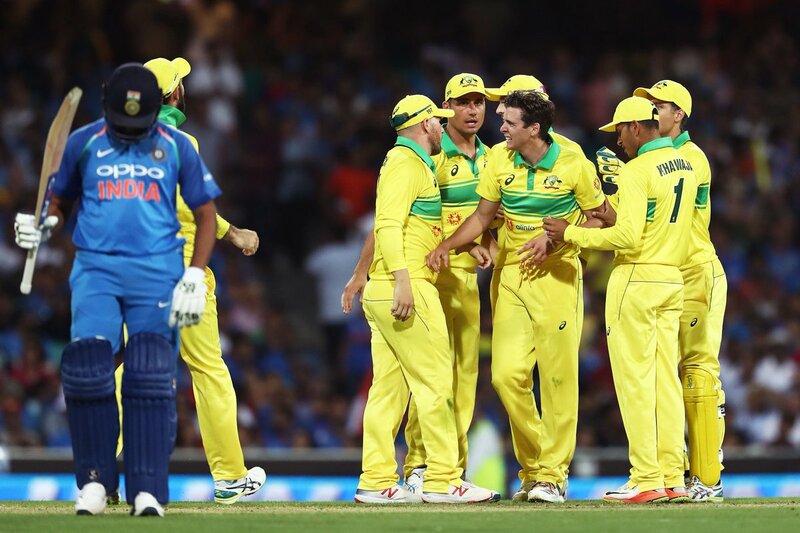 Rohit scored a blitzkrieg 133(129b, 10x4,6x6), and eventually was dismissed by Stoinis, and with the fall of wickets, India finished at 254/9, losing the first match by 34 runs, and Jhye Richardson was the best Australian bowler with 4/26. Kohli once again failed with his bat and criticism rises that he should step down.